Keep safety up in your grille. 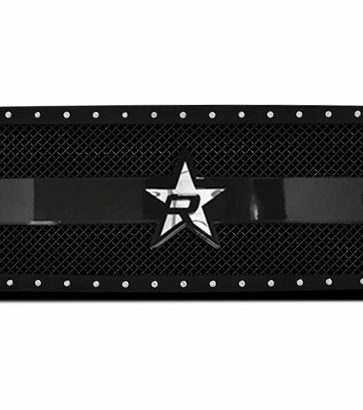 Every Rigid Industries LED Grille is made with stainless steel & a high quality powder coating. 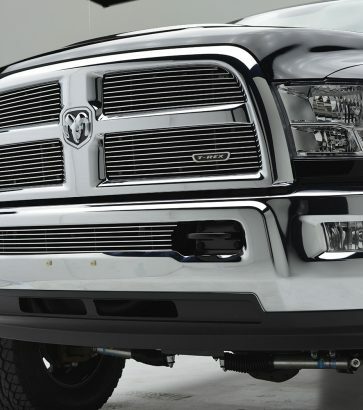 Rise above other ordinary front ends with the RBP RX-3 Grille. The RX-3 is made to last. 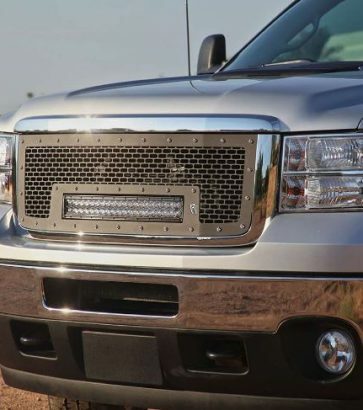 Stop traffic and turn heads with the classic looks of a T-Rex billet grille. 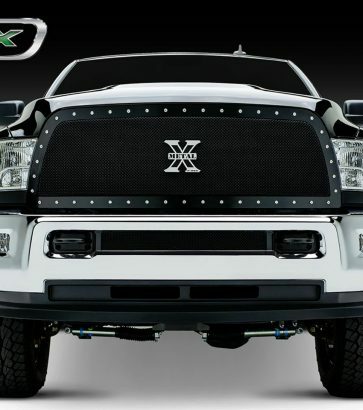 Not for the faint of heart, T-Rex X-Metal grilles scream a rugged aggressive look. Grilles, grilles, grilles! Available in all shapes and sizes, we’re proud to house the best brands in the game, including RBP, T-Rex, Cloud-Rider, Carriage Works, and Chrome Remedy. Get a customized grille for a cool or aggressive seasonal look, all while adding extra protection to your vehicle’s front end. Keep your radiator safe and sound with long-lasting, tough materials.